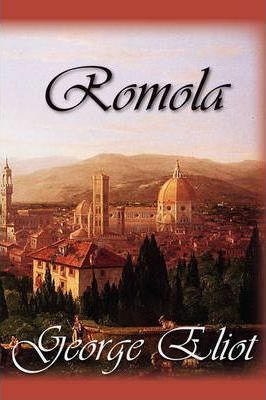 ROMOLA (1862-63) by British Victorian woman author George Eliot is a complex historical novel of Renaissance Florence. Young, handsome, and ambitious scholar Tito Melema falls in love with the erudite and intelligent Romola, daughter of another scholar and convinces her to marry him. In a mock ceremony Tito also marries a naive young Florentine girl Tessa. Political and religious upheaval fills the city, plague spreads, and events reveal Tito to be a dishonorable and cowardly schemer who betrays the trust of his adoptive father. Otherworldly and charitable Romola is thrust in the middle of this personal and political conflict, and her fate becomes entwined with historical events, and with Tessa, the "other wife." A sophisticated and many-layered psychological masterpiece by the author of MIDDLEMARCH.